Please see our 3-Day Woodturning Workshops (Deposit Only) category for more choices. 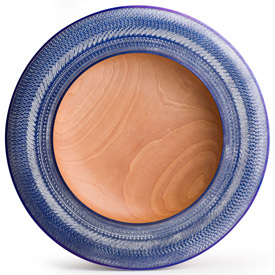 In this 3-day Artistic Woodturning class, students will learn how to incorporate a variety of decorative elements into their woodturning projects to add value and appeal that sets their work apart. Along with working to improve overall turning skills, students will learn decorative techniques including using coloring dyes, gilding paste, texturing and airbrushing. Emphasis will be placed on how to design and create turned forms that compliment decorative elements to form a finished piece with balance and beauty. A long time workshop assistant and now resident instructor, has an extensive knowledge of woodturning tools, equipment and turning techniques along with the ability to share this knowledge with students in a clear, concise manner. Stan emphasizes fundamentals including sharpening and tool techniques giving students a firm foundation to build upon. Our workshop is located in beautiful Provo, Utah, just 40 minutes south of Salt Lake City. Upon registering for a class, you are only charged a deposit to reserve your seat. 6 weeks prior to the class, you will be charged the remaining balance due. We will send you a packet containing helpful information when planning your trip, including hotels near us and other fun things to do during your visit to Utah. The workshop deposit is non-refundable. We reserve the right to cancel workshops up to 4 weeks prior to the class date. Full tuition and deposit will be refunded for a cancelled workshop. Please do not make airline reservations prior to this time as we do not reimburse for any travel expenses incurred.